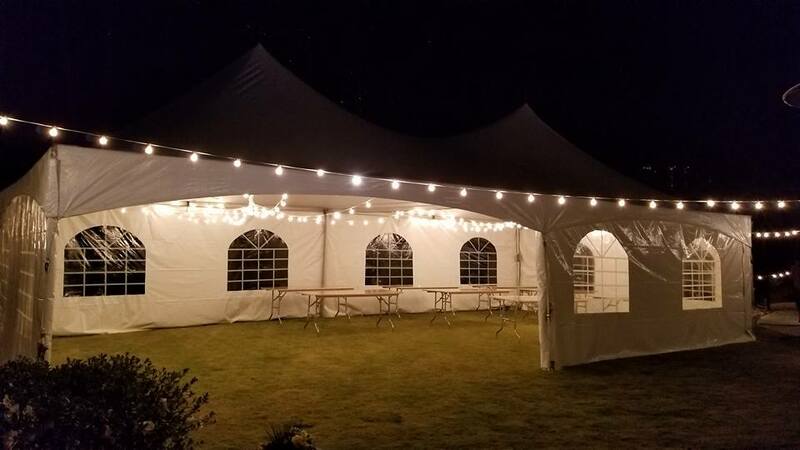 Cafe lighting is a go to for night time events. 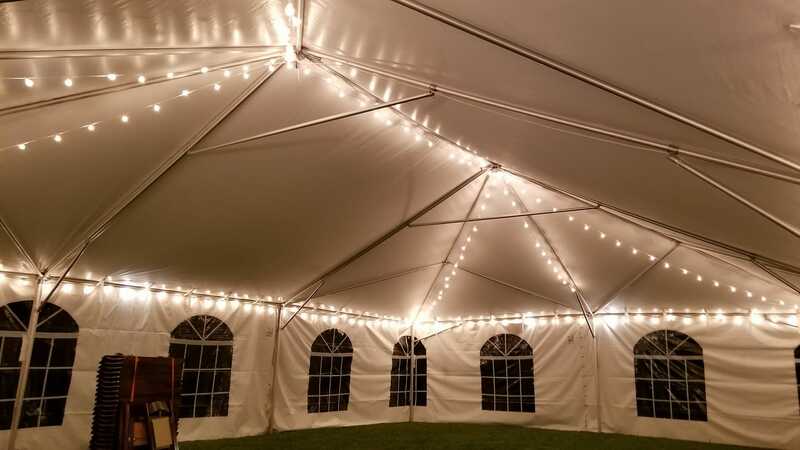 Cafe string lights can light up an entire tent during the night. 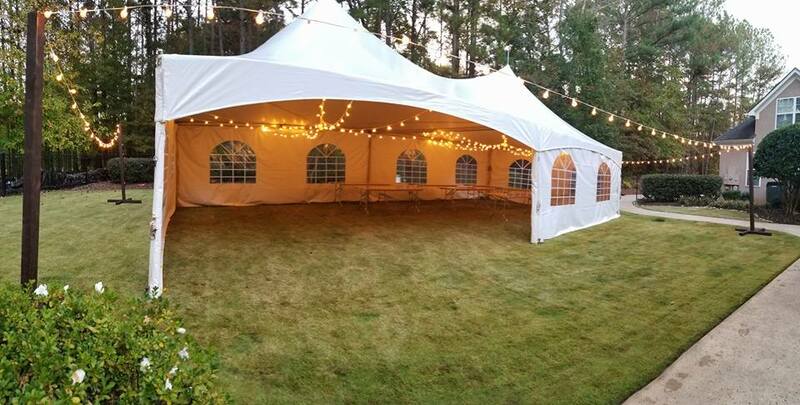 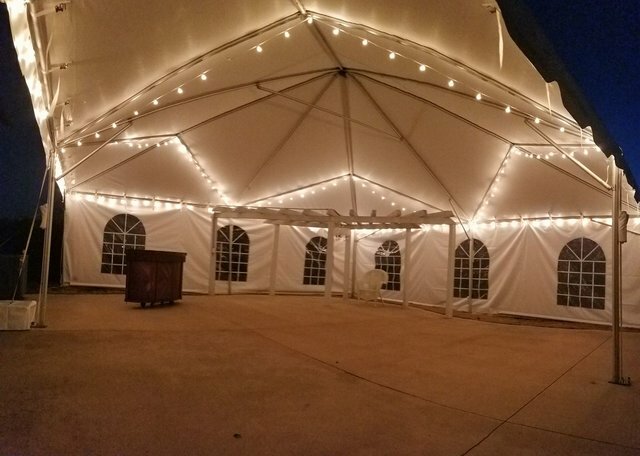 It is just the touch a tent needs for an evening event. 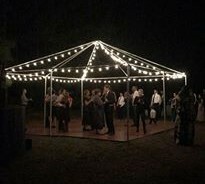 We can hang these beautiful string cafe lights anywhere just about; tents, porchase, barns, and more!